Your resolutions may include exercising and eating right, but make sure you’re not neglecting other aspects of your health, like taking care of your eyes. 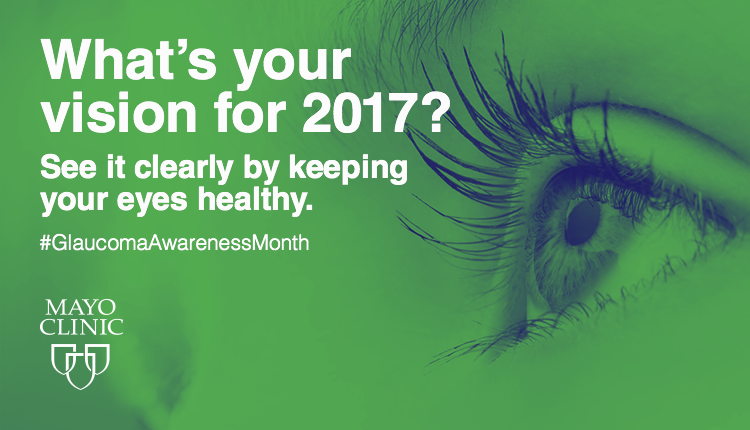 January is National Glaucoma Awareness month, and almost 3 million people who are 40 and older have glaucoma, yet only half know they have it. Glaucoma is the leading cause of blindness in the U.S. and it comes with no warning signs. Being proactive about your eye care is key, so start the year off right and schedule your regular eye exam. Your resolutions may include exercising and eating right, but make sure you’re not neglecting other aspects of your health, like taking care of your eyes.